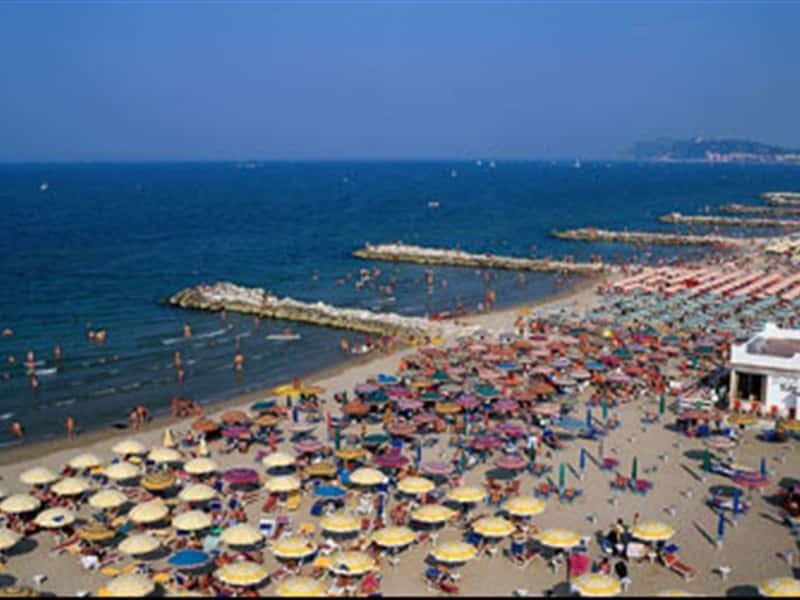 A seaside resort in the province of Rimini, overlooking the Adriatic Sea, Misano Adriatico is a charming town surrounded by green hills, situated between Riccione and Cattolica. An ideal destination for a relaxing holiday, thanks to its wide sandy beach, it is also home of one of the most popular and modern motor racing circuits for car and motorbike pilots in search of thrills and adrenaline from speed. Numerous archaeological findings seem to prove its Roman origins, which is confirmed by its name (probably derives from the name of a Roman "gens", to whom the lands were assigned in the III century B.C.). The town developed in the Middle Ages with the construction of the Parish of Saint Erasmus, in 997. Misano became a possession of the Malatesta, and after their fall, it submitted the domain of the Papal States. - the Church of the former Convent of San Girolamo, with a collection of fine XVII century paintings. This town web page has been visited 18,478 times.